IITA hosted participants of the ISTRC-AB Symposium for a welcome cocktail at its offices in Dar es Salaam as part of events to mark its 50th Anniversary. 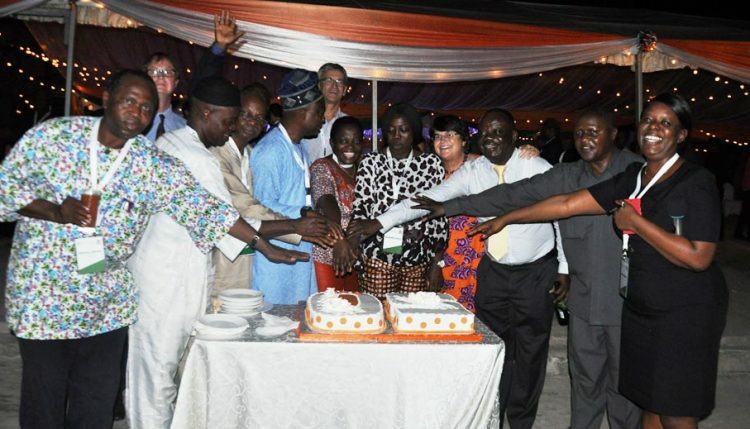 Happy 50th birthday IITA! 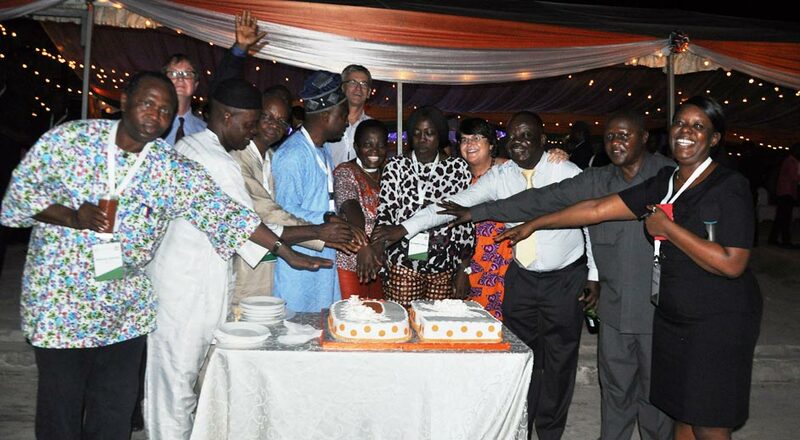 – Cutting cake to mark IITA’s 50th anniversary. The IITA Director for Eastern Africa, Victor Manyong, and the Regional Administrator Eveline Odiambo, led the celebratory event. Manyong welcomed the participants to IITA saying that the 50th anniversary was an important milestone for the institution. “We have come this far due to your generous support. And that is why we invited you to celebrate with us,” he said. Manyong, together with the members of the local organizing committee and the ISTRC-AB Executive Committee, cut a cake for the anniversary. Everyone enjoyed the food, drinks, and entertainment planned for the evening. Sanni, on behalf of ISTRC-AB, thanked Manyong and his team for hosting the participants and for their support in organizing the 13th Triennial Symposium.